When you have a child with autism spectrum disorder (ASD), it is easy to become consumed with the needs of that kiddo, but autism does not solely affect the individual diagnosed with it. It impacts the entire family unit and can be particularly difficult on siblings. How should a parent have the “autism talk” with a sibling whose brother or sister is on the spectrum? The age of the sibling will depend on how you approach that child and help him or her cope and understand the diagnosis and what it means for the brother or sister and family as a whole. 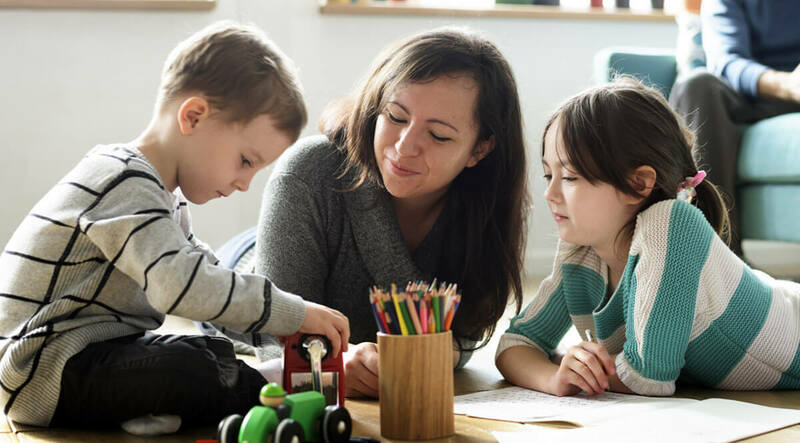 As you think about bringing your other children along this journey, make sure you communicate within a manner that is developmentally appropriate for their ages. In discussing with young children, some of it may be too much for them to process, but you can start simply. For example, communicate why a brother or sister may not be talking or behaves a little differently. Consider sharing that it is not something kids can “catch” and how each child is different and special. Some choose not to use labels during this conversation, but you must find what works for you. In discussing with young children, some of it may be too much for them to process, but you can start simply. For siblings who are a little older, there are books on the topic, as well as guides in Autism Speaks’ “tool kits” to help brothers and sisters learn more about what it means for them after talking about it with their parents. The initial conversation is tricky, but it does not stop there. The communication should be ongoing. Be mindful of how the questions and concerns for this child may continue. Most importantly, recognize that the sibling is affected by ASD and he or she may need support as well. Between diagnostic and therapy appointments and extra pieces they have to put in place for the kid on the spectrum, the process can be overwhelming and siblings often unintentionally take a back seat. Include the siblings in the activities. Identify things they can do together, as well as separately. Here at Hopebridge, for instance, we often offer events that include all kids in the family, like Parents Night Out. Plus, there are some great programs out there specifically for siblings of children or family members with autism. Look into the kind of support systems are available in your area and make sure you carve out time for them as well. Create a network that allows you to step away and do special things with the sibling, so each child feels as though he or she is an important part of the family. Have more questions about autism or therapy with Hopebridge? Don’t see the answers you’re looking for? Drop us a question on Facebook or contact us directly to learn about the options in your area.